Last night A had his first soccer game! It was a scrimmage actually, but still it was his first real game in an organized sport! He made the JV soccer team along with only three other freshmen. (yes, I am bragging and I can officially do that because he is a foster child from a different country and that is the rule!) He played almost the entire game! I don't know that much about soccer even though three of my four children are playing soccer right now, but A has some moves! He does a great job dribbling the ball down and passing. I was quite proud! I was the most proud that he seemed to be understanding the rules and what the players and coach were saying! Or maybe that was more of a huge relief then a feeling of being proud. So, does this mean I am officially a soccer mom now? My idea of a "soccer mom" is one of a yuppie mom who dresses to the nines, has her hair and nails done and a housekeeper and a cook. That definitely isn't me so I looked online just to be sure.... 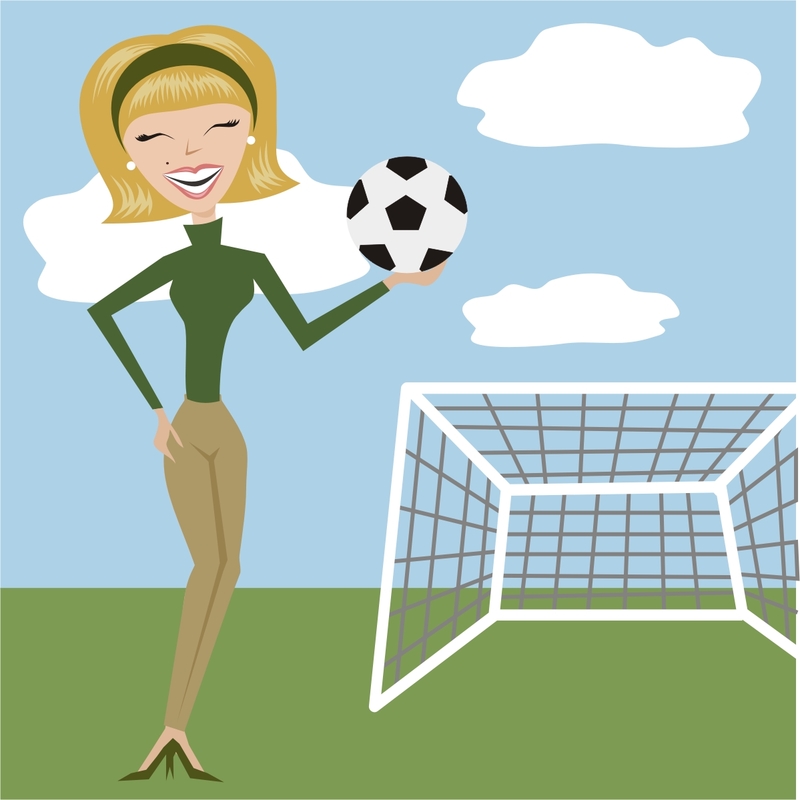 The phrase soccer mom generally refers to a married middle-class woman who lives in the suburbs and has school age children. She is sometimes portrayed in the media as busy or overburdened and driving a minivan. She is also portrayed as putting the interests of her family, and most importantly her children, ahead of her own. This definition is definitely me and has been me since the day Jackson started school! I may have even been classified as a "soccer mom" before I had kids and was teaching and driving my minivan! I wish I could be the other soccer mom though. 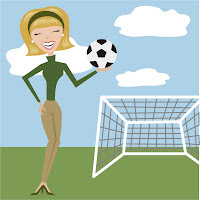 My idea of a soccer mom definitely has more promise to it! Your hit the nail right on the head there with your idea of what being a soccer mom is! How about trying out in one of those professional coaching camp for soccer for a start, eh? Cheers!